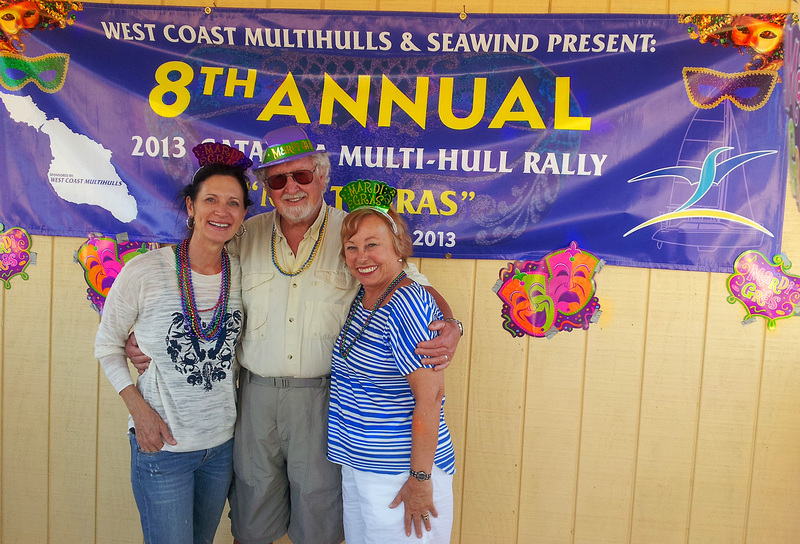 I had a wonderful weekend attending the West Coast Multihull Rally on Catalina Island. Friday morning, I was the keynote speaker to an attentive audience of catamaran sailors. Günter and I showed the multimedia presentation “Come to the Islands” and explained how my latest book, “Sailing the South Pacific,” aids those desiring to cruise to there and how my first book, “Maiden Voyage” helps those who plan to cruise down the Pacific coast of Mexico and Central America and on to the Caribbean. This was the longest Q&A session we’ve ever had! Sipping a Bloody Mary, no-one was in a hurry in laid-back Two Harbors. Watching the presentation, while Bloody Marys were served at the bar. The highlight of the three-day event was the Mardi Gras celebration on Friday night. 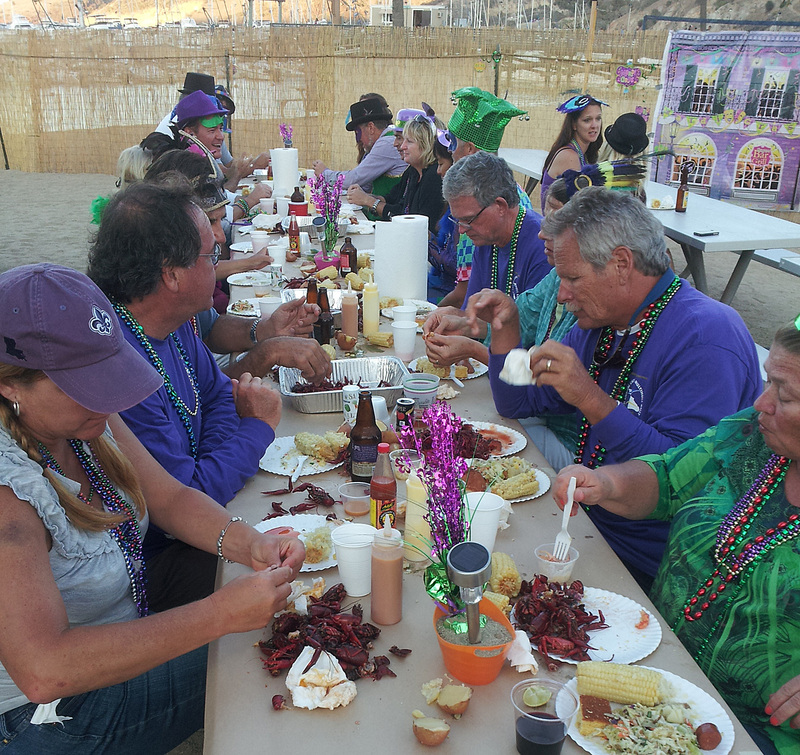 The generous hosts, Lori and Kurt Jerman, even shipped in Louisiana crawfish. Seafood boiled in a huge pot near the harbor while we all lined up for “Hurricanes,” a New Orleans cocktail made with two kinds of rum, grenadine, and fruit juice. Picnic tables were covered with paper. Along the middle, the servers poured mountains of potatoes, corn-on-the-cob, and spicy sausage. The feast was complimented with the best cole slaw I ever tasted. As the celebration concluded with music and dancing, I was relieved that I didn’t have to speak on Saturday morning! That was to be the day of the “rally” (although when any two sailboats are headed in the same direction, everyone knows it’s a race). They say that if Catalina calls to visitors across the sea, the hamlet of Two Harbors whispers. One has a feeling of stepping back in time. 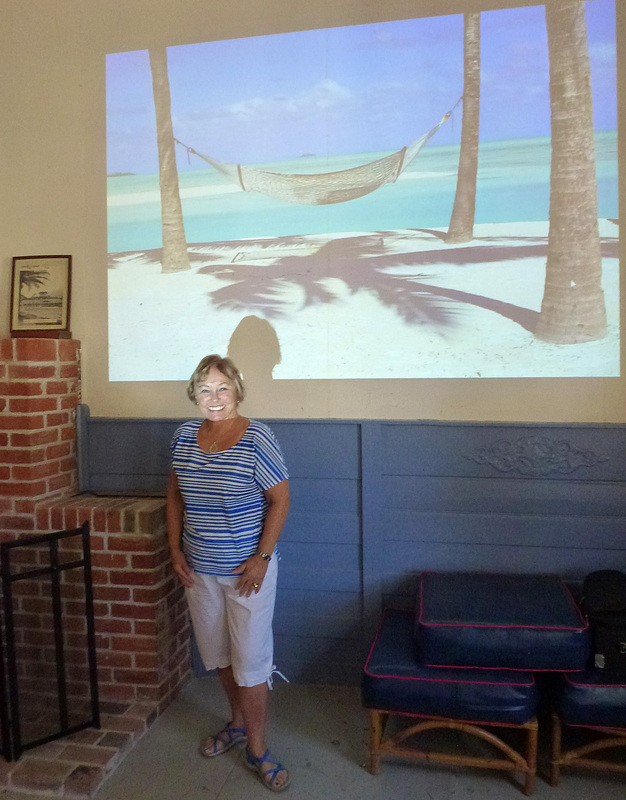 For example, The Isthmus Yacht Club, where we stayed, is a converted Civil War barracks, managed by the club since 1951. In 1864, the U.S. army sent soldiers to survey the area as a proposed reservation for “militant” Native Americans. That plan was never completed. The barracks were used, however, by the U.S. Coast Guard during World War II as a training station for new recruits. Nearby is one of the oldest one-room schoolhouses in the U.S. It serves grades K-5; students travel to Avalon for grades 6-12. The only hotel in Two Harbors was built by the Banning brothers as their hunting lodge. They made Avalon into a resort community and then paved the first dirt roads into the island’s interior, built lodges and led stagecoach tours. The development by the Bannings ceased after the Avalon fire of 1915 and the onset of World War I. By 1919, the Bannings were forced to sell shares. The island was used for smuggling, otter hunting, and gold digging until chewing gum magnate Wrigley bought out nearly every shareholder and began to develop it for tourism during the 1920s. Two Harbors is also one of the last remaining “company towns” in the U.S. The single restaurant, general store and Banning Lodge are all owned by the same Wrigley corporation. We hiked from Isthmus Cove to Cat Harbor to see where the pirates, smugglers and otter traders operated in the past. These days, there is nothing other than a harbor full of yachts. On the way back, we spied buffaloes up on the hills. (In the 1920s, 14 bison were brought to the island for the filming of “The Vanishing American” and left there.) After returning to the Yacht Club, I hiked up the nearby hill to the Banning House Lodge and asked for a tour. What a view those 12 rooms have! The Lodge overlooks both harbors—it’s an ideal place to stay and chill out for awhile.